For all big gourmands and passionate cooks, preparing great meals is of the utmost importance. So is choosing the right pieces of kitchen/cooking equipment. Apparently, the cooktop has become one of the must-have kitchen appliances of almost every contemporary commercial or residential kitchen. Its immense popularity on today’s market is firmly supported by the various models, designs and sizes customers have the opportunity to choose from. If you seek an instant cooking solution, the gas cooktop is the right model for you. You can start your cooking adventure immediately by pressing down the burner knob and then turning it. The heat element warms up in the blink of an eye, meaning that your pan will be ‘burning’ in seconds. The same ‘rule’ applies when you want to lower the cooking temperature – it all happens instantly. Gas cooktops are very easy to use and are also, cost-effective. However, they are recommended for households that already have a gas line installed. Otherwise, if you have to install gas pipe lines, a gas cooktop is a very expensive cooking solution. Cheapest cooking solution is what best describes the electric cooktop. In fact, this cooktop model is commonly seen in rental apartments and other properties, due to the low maintenance costs. Another good thing about electric cooktops is that they come in an array of configurations, offering more opportunities to make the selection that will match customer’s personal needs and preferences. Electric cooktops are well-known for their capacity to provide constant and even heat, especially when it comes to maintaining lower-heat levels. The only downside of the electric cooktop is its slow heat-change. Being super-easy and highly-efficient to operate with, the induction cooktop is definitely one of the most popular cooking trends in the last couple of years. The secret of induction cooktops working principle is that they use electromagnetism that leads to outstanding cooking experiences. Again, this is a cooktop model which allows instant cooking/temperature adjustment. 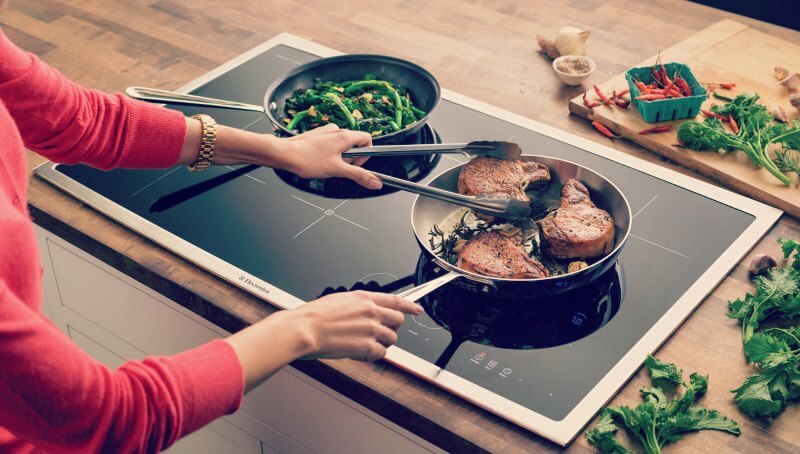 Moreover, all induction cooktops come with special state-of-the-art features, such as touch-controlling system that allows a range of temperature controls. Being a revolutionary discovery of the advanced industry, cooktops have set new trends in the modern way of living, particularly when it comes to cooking style.